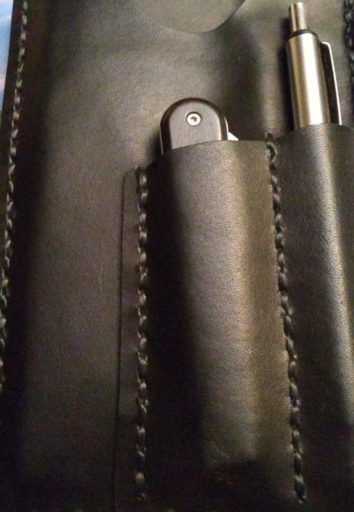 This is the Lion Steel Dom Sheepfoot Jack, has Ebony Wood handles and Titanium liners. The blade steel is M390 and finish is Satin. *Our opinion: The pull is a 6. The Lion Steel effort on this run as compared to their entire catalog is 7. 5 out of 5	My first sheepfoot! First off, service is fantastic. Second, gorgeous ebony handles, and the fit and finish is spot on. The logo is incredible, the lettering is so tiny and crisp. I keep playing with it, the blade shape is so cool. It’s also my first M390 blade. Should be interesting to see how it holds up (BTW, crazy sharp). 5 out of 5	Great knife!! 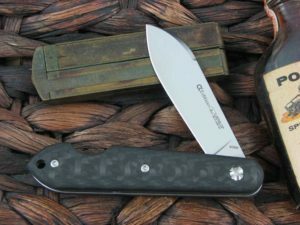 The Dom is a perfect example of a modern traditional, the m390 is a great edc steel and will hold an edge for a while. I love a good sheepsfoot blade as a companion to my main folder, the Ti liners and bolster make it so light I forget I have it in my pocket. 5 out of 5	Ace of a knife! I love the Lion Steel Products but this is an outstanding piece of work. The design is exceptional and blends together traditional elements in modern materials. 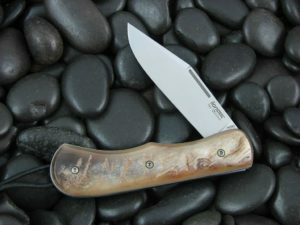 I have come to prefer a one bladed sheep’s foot with the balance that makes this makes this knife in a class by itself. Modern interpretation of a traditional classic. 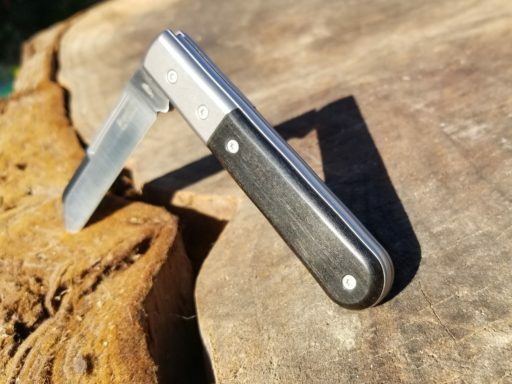 This knife has kicked my modern folders out of my pocket! The Ebony DOM is the third addition to my modest collection in this series from CK/Lionsteel, and it is hands down my favorite. Thinner behind the edge than my previous round-head and Shuffler samples, and exponentially sharper out of the box. The longer nail nick and increased pull are bonus. Excellent fit/finish. I’m downsizing to only a handful of users, and this beaut and my white CF Shuffler will hopefully be passed down to my daughter one of these days. One minor shortcoming in these Lion Steel Barlows is the thickness of the scales and bolsters. I’d prefer a slightly more slender profile in a single spring slippie. Others, of course, would find this beefines a bonus. The fit and finish are spot on, and the small touches (eg the rounded spine, the wicked swedge and the use of dual long pulls) and the materials make these well worth their cost. Im looking forward to seeing the richness of the ebony covers deepen with time. Thanks, Mr. Latham, for bringing these to knife enthusiasts. 5 out of 5	Outstanding Modern Barlow! This is my first CK Edition knife and I am highly impressed! The fit and finish is perfect and the blade steel/sharpness is first rate. I am looking forward to the next model. Thanks CK! 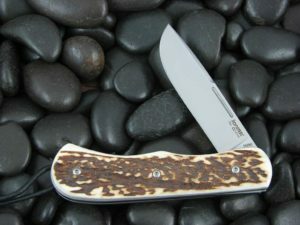 This is my third Lion Steel slipjoint. It has great fit and finish. I love the ebony scales. The knife comes razor sharp. I would definitely recommend this knife in this configuration. 5 out of 5	Ebony is beautiful! This is a really nice knife. It has exceeded my expectations. The ebony scales are finished perfectly. The F&F of the knife is spot on. This is a tremendous bang for the buck. Of all three versions of the CK01 knives I like this DOM sheepfoot the best. Outstanding pull, walk and talk, blade edge thinness, etc. I like everything about this knife. Get three of them in different scales. This is my second CK01. The pull is easy, but a little stronger than my Roundhead. Ebony handles look great and feel just a tad bit heavier than the micarta scales which I like. The blade shape is great and the knife is really sharp out of the box. Only gripe I have is that the pivot came with WAY too much red grease. Took a few minutes of swabbing to clean it up, but at least I know it’s lubed well. Excellent knife – very happy. Dom is my first CK LionSteel edition knife and it’s well designed with quality workmanship. What stands out most to me is the bevel work done throughout the knife and the blade spine, tip to the point is magnificent. The ebony handle looks great and the pull is just right . Overall the Dom and CK team definitely deserve 5 stars. My plan was to rotate the Dom with my other gentleman knives but now I might just save in my collection but will wait on what to do after my roundhead order arrives but who knows I might just buy another one. 5 out of 5	The Name Should be DOMINATOR !!! 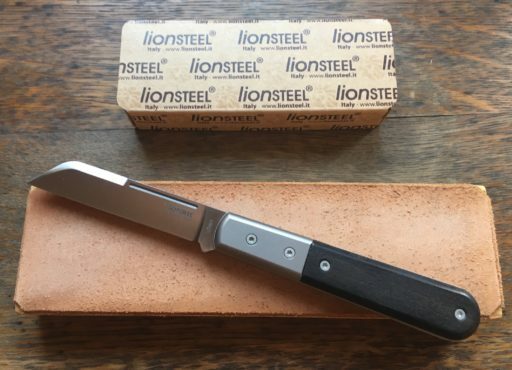 I have now own 6 “CK01” Lion Steel knives and love all of them. This knife is one of those hidden treasures that will have a growing reputation as time goes by. As always, excellent construction, excellent steel and silky smooth pull. 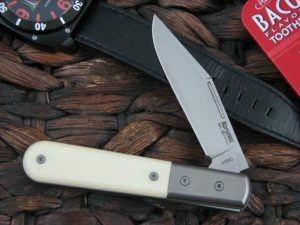 Excellent as an EDC knife and even more as a collectable. This knife dominates !